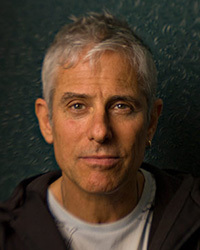 In 30 years of commitment to the art and spiritual practice of kirtan, Jai Uttal has cultivated a voice and musical style that carries the listener into the heart of devotion, prayer, and healing, and to an ecstatic remembrance of the divine. Often performing with his "Pagan Love Orchestra," Jai is considered a pioneer in the world music scene. He has studied for many years with Ali Akbar Khan for traditional voice training and to learn the sarod, a 25-stringed Indian instrument. He traveled to India where he studied yoga under Neem Karoli Baba and was also deeply inspired by the Bauls, the wandering street musicians of Bengal. Jai settled among them, communicating only through music, which ultimately helped establish his unique style.